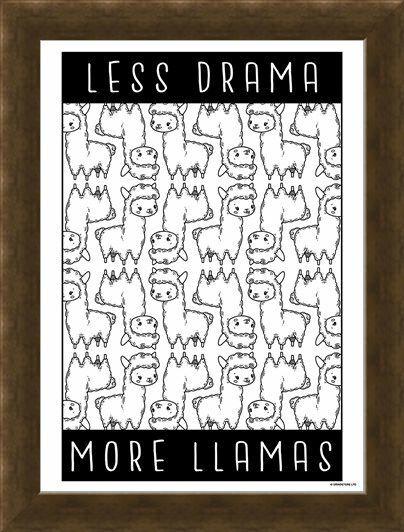 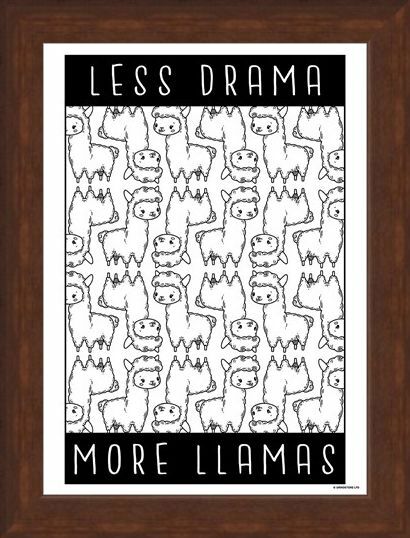 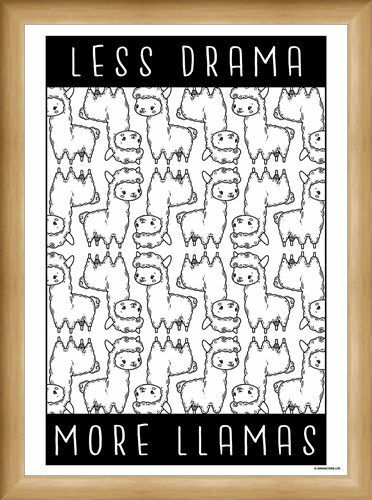 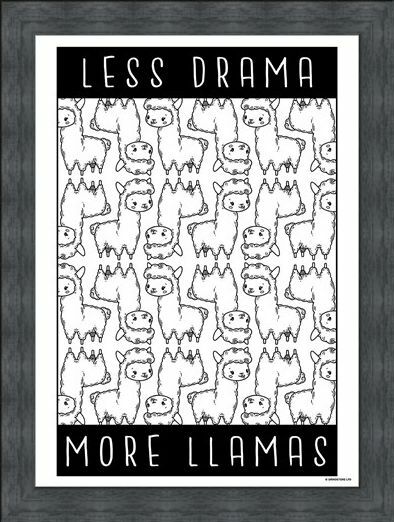 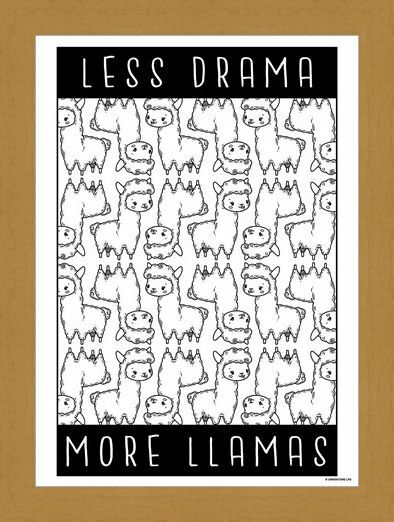 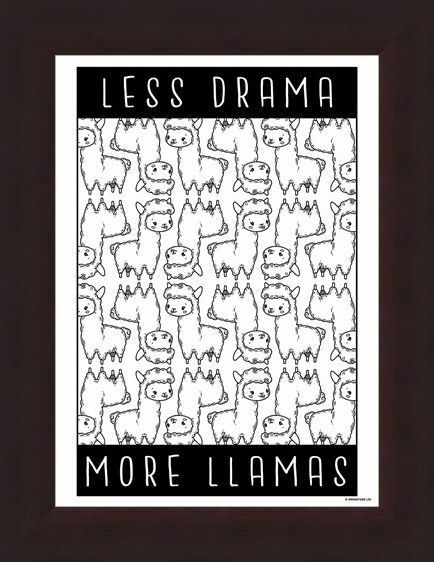 A marvelous motto to live by, we just need 'Less drama more Llamas!' 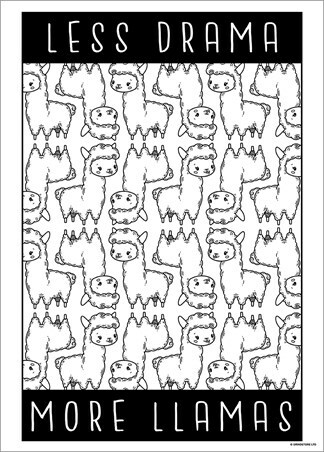 A chilled out kind of creature, these guys are perfectly content munching on grass or a cheeky carrot. Only throwing a spit when they're really riled up, their life is filled with beautiful rocky mountains and seriously fashionable back rugs. 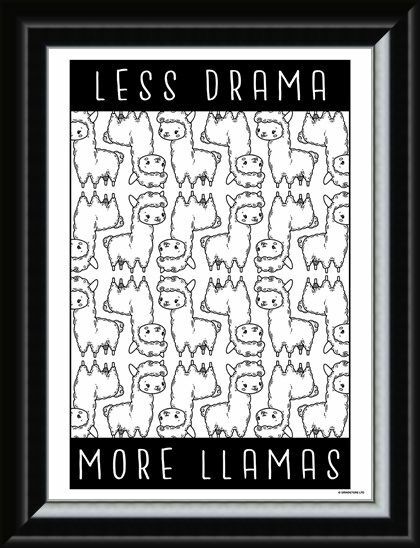 This black and white mini poster is sure to appeal to those Llama obsessives out there, being the inspiration you need to help chill out! 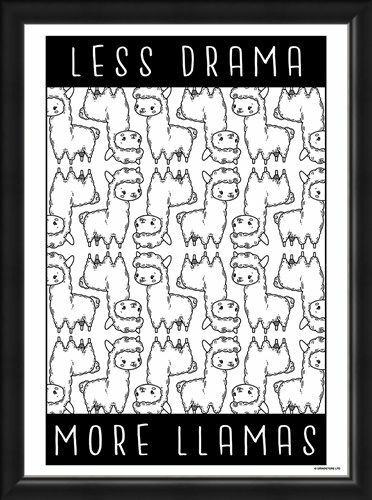 High quality, framed Less Drama More Llamas, Furry Frenzy mini poster with a bespoke frame by our custom framing service.